This curry looks rather pale, because turmeric is not added to fasting food. *Satvic (pure, positive foods, with good properties): Satvik food is light and natural and it has calming influence on the mind and body. It includes milk and milk products (Hindus are not vegans), fruits and all fresh vegetable except garlic, onions and similar. It should be simple and not contain strong spices. *Rajasic foods are fit food for Raja (kings) and for people who are highly active. This type of foods have stimulating, not calming properties. They are heavier (to digest) and includes all animal products, cereals and spices, fried foods and have strong tastes and flavours (onion, garlic etc.). They also have high nutritional value and they are not suitable as fasting foods. *Tamasic foods include all kinds over cooked, poor nutritional quality, fried, stale, refined/processed, stimulant foods, like tea, coffee, alcohol and fermented foods. They are considered unhealthy foods. The word Tamsic means producing darkness, moods, desires, not suitable for calm required for prayers. 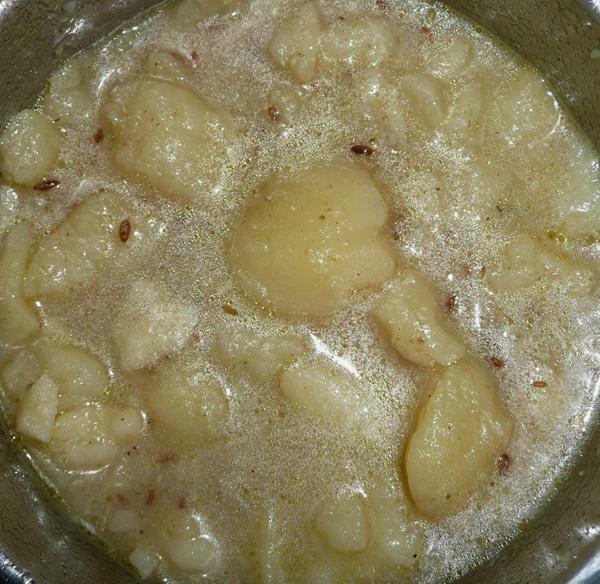 Boil potatoes in their skin, cool, peel and break up by hand. 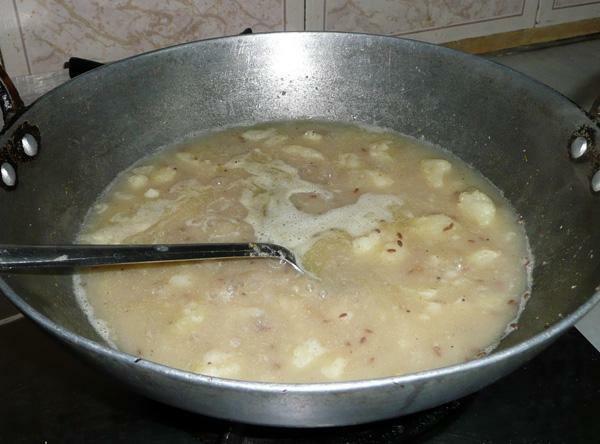 This is better than chopping, because broken potatoes give a thicker gravy. Heat ghee/oil, add cumin seeds. As soon as they splutter, add ginger and stir fry for a minute. Add potatoes, salt, chilli powder and stir-fry on high for a minute or two, until the surface looks a little browned. Add water, beaten yoghurt and 1 - 2 cups water. This dish has runny gravy, not too think. Bring to boil and simmer for 10 minutes or so. 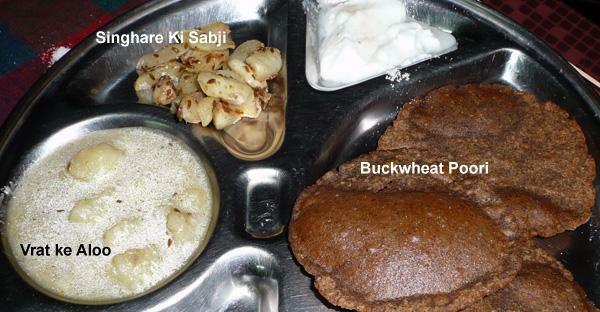 Serve hot with Buckwheat or Kotu Poories, (wheat is not allowed for fasting).